Discussion in 'Supplier' started by Elegomall, 8 Jun 2018. Aspire Puxos Starter Kit comes with the Aspire Puxos Box Mod and the innovative Aspire Cleito Pro tank. The Aspire Puxos Mod is compatible with the single 18650 and 21700 battery. The Maximum wattage reaches up to 80W under 18650 battery. When using the 21700 battery, it is capable of reaching up to 100W output. The Aspire Cleito Pro Sub Ohm tank features the top side-fill system and the bottom adjustable airflow. Working with the Cleito Pro 0.5ohm coil, it will provide huge vapor production and smooth flavor. 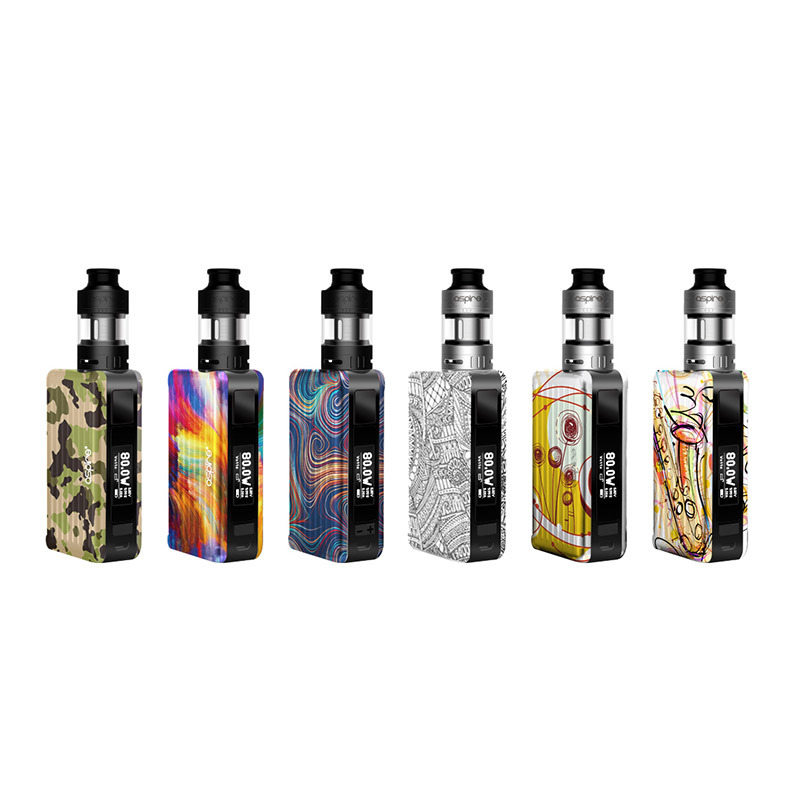 Aspire Puxos Kit with the appearance of the suitcase, has multiple battery panels to fit your style. Definitely convenient one to carry on your journey! Allow us to introduce the Aspire Breeze 2 AIO Starter Kit! Just as its predecessor, the Breeze 2 also features draw activated system with automatically on/off switch. 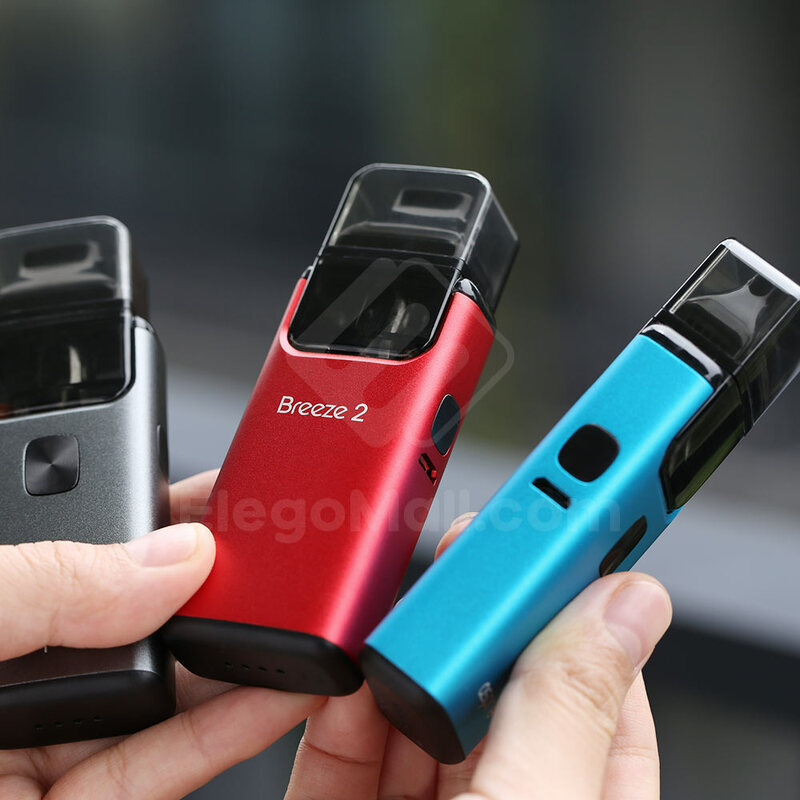 Start vaping experience with breeze 2 kit easily. As an all-in-one device that employs a compact and ergonomic design, Breeze 2 has a built-in 1000mAh battery for a stable performance. It also adopts U-tech coil which ensures you a flavorful vape. The included 1.0ohm coil is best for nicotine salt. Just hold this delicate device in palms and enjoy it!